Baskets, please contact our coordinator, Jenny Greyson, at bjgreyson@comcast.net. 1. Decide on dates for the book drive. We recommend a span of only a few weeks. 2. 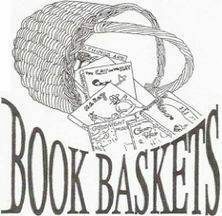 Get baskets, posters, and fliers from Book Baskets. 3. Hand out and/or send out fliers electronically a few days before the drive begins. 4. Leave the baskets and posters in high visibility locations during the drive (the lobby?). 5. Post and announce the numbers of books received frequently—either daily or weekly. 6. Have a competition between groups for the number of book donations (optional). 7. Remind participants shortly before the drive ends. Add boxes for overflow books. outdated. Take these to the recycling center on McIntire Road. 9. Arrange a time for Book Baskets to come pick up your books and take photos. who participated for their generosity!